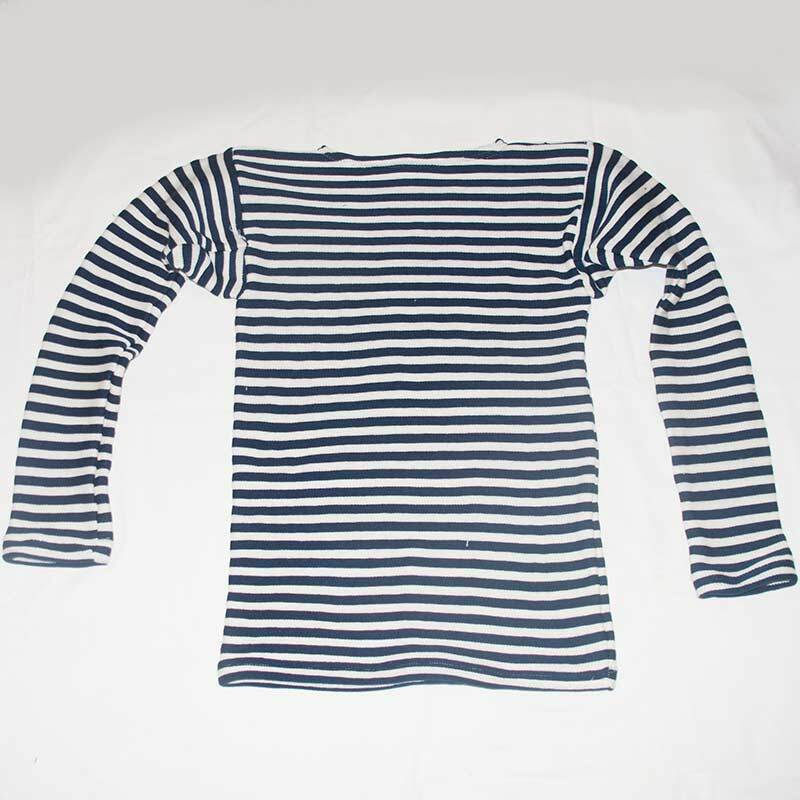 Russian Military Shirt Wool-Cotton Telnyashka for divers is an authentic Navy shirt. This is special telnyashka for divers to wear it in winter time, it is made in technique of so called double weaving. 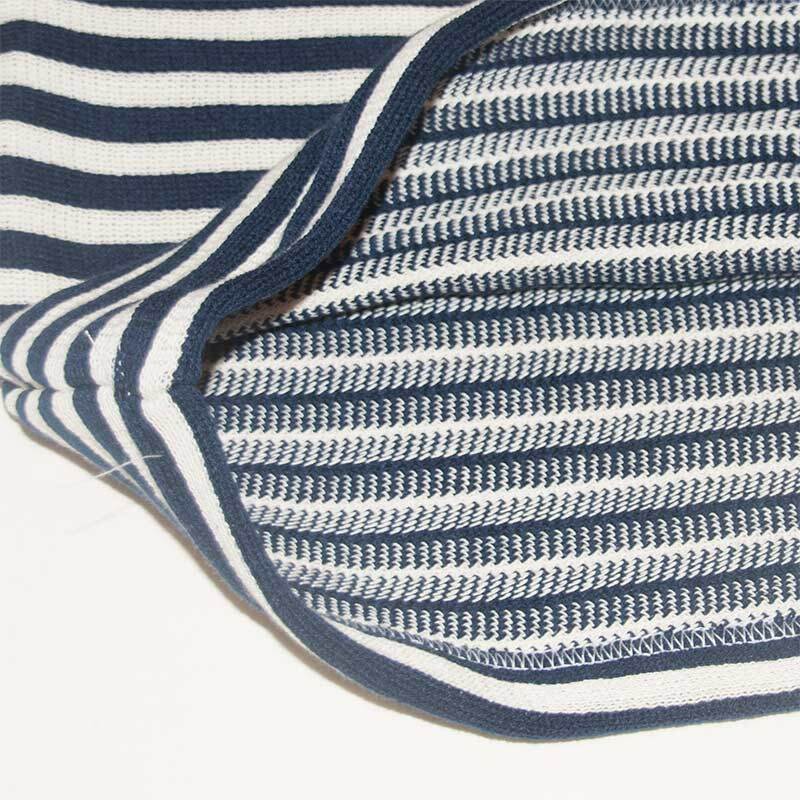 This telnyashka is made of mixture fabric - 50% natural cotton and 50% wool, the fabric has density 450 g/sq.m. 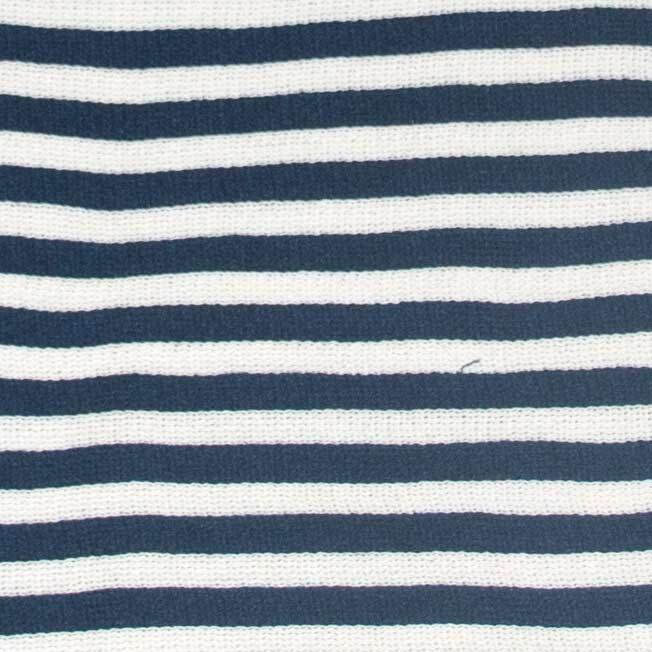 The strips are white and dark blue (dark blue strips mean Navy forces) and they are weaved. 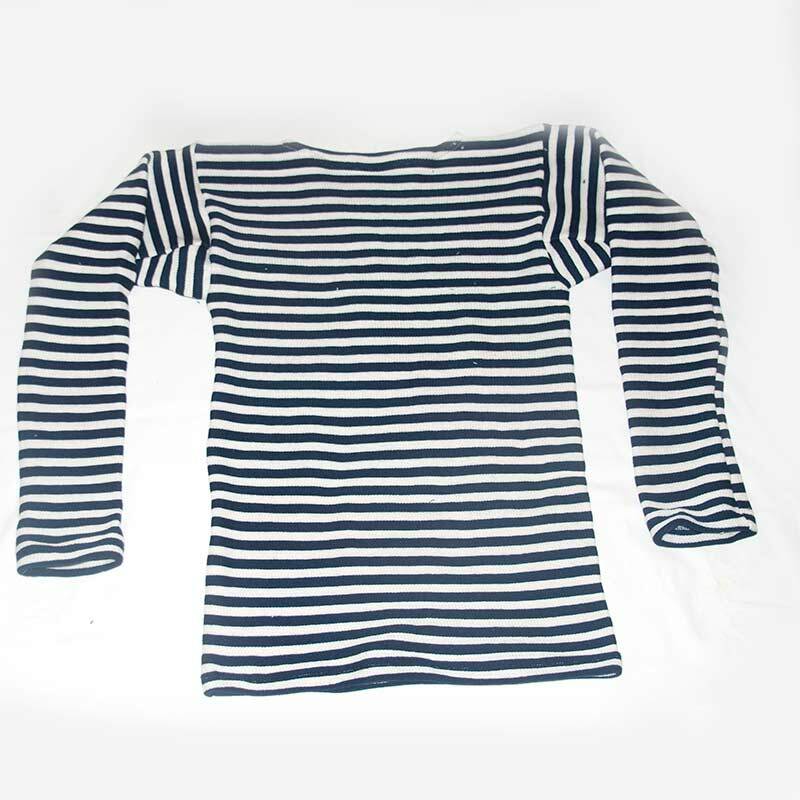 This is an authentic Russian NAVY military telnyahska shirt which is made in accordance with military standard of 1983 (GOST-5904-83). The telnyashka is suitable for wearing in cold winter time for hunters and fishermen and also for everybody who want to protect from cold weather. Important! The size of telnyashka is marked here in two different size systems - in Russian and international, they are separated by slash "/", for instance 50/L. 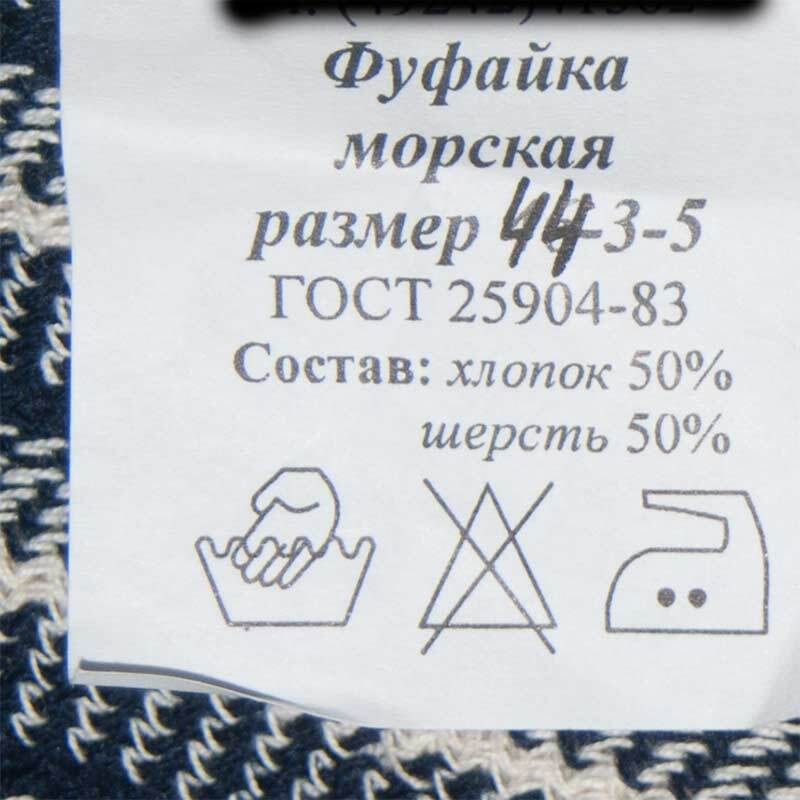 This telnyashka has old Soviet time way of sizing - the number of a size (for instance 52) means a half circumstance of a chest in centimeters. So the size 52 means that the chest circumstance is 104 cm. You can take a measuring tape and measure your chest in the most wide part so you can determine quite exactly the size of a telnyashka which would fit you.